Our rates are surprisingly affordable, and you can spend anywhere between $55 and $220 for chemical peels and facial treatments depending on the type of treatment you choose. The following list includes the chemical peels and facial treatments offered at our spa. Heavy exfoliation designed for resilient skin types in need of rejuvenation. Blended with antioxidants to help protect against free radical damage. Ideal for sun damaged or mature skin. This one-of-a-kind treatment for acne, sun damage and rough skin texture can be applied to most parts of your body, including arms, lower and upper legs, back, chest, shoulders, hands, and feet. * Price dependent upon body area. Prepping a chemical peel with a microdermabrasion OR Dermaplaning helps to remove dead surface debris allowing for enhanced benefits and penetration of the peel. Read more about microdermabrasion and dermaplaning. This rejuvenating treatment combo will regenerate your youthful contours by gently exfoliating the outer layers of dead skin with no down-time. The power of glycolic acid is used to transform dull & lifeless skin to reveal a soft, smooth, and radiant complexion, leaving your skin glowing for weeks. * As dead skin is sloughed off, the cell-regeneration process is jump-started to produce healthier, more radiant skin tone and texture. This treatment is particularly effective for improving acne-prone skin by dissolving inter-follicular debris build-up, but is safe for most skin types. Also helpful for treating fine lines, wrinkles, and hyperpigmentation. To discover which peel is right for you, contact Phoenix Skin Spa today for a complimentary consultation! Are you ready for a new approach to skin care? Make a change to your skin care regimen with our monthly treatments and professional skin care line. Check back periodically for upcoming events! Yes! 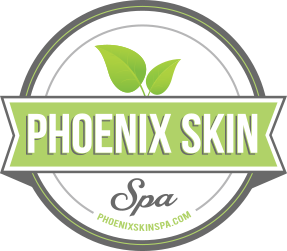 Please add me to Phoenix Skin Spa's email membership so I can receive information about special promotions and discounts.